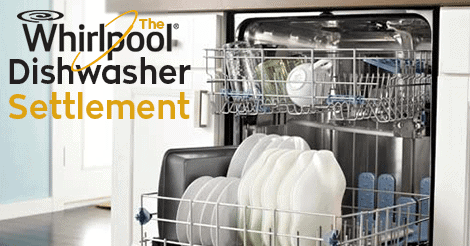 The U.S. District Court announced in September 2015 that the Whirlpool Dishwasher Lawsuit has agreed upon a settlement. 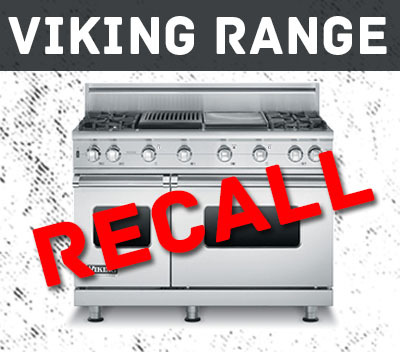 Owners of Whirlpool, KitchenAid, or Kenmore brand dishwashers manufactured between October 2000 and January 2008 (equipped with an electronic control board or “ECB”) may be subject to a variety of benefits including a rebate for the purchase of a new unit and / or reimbursement of expenses incurred due to the dishwasher malfunction. 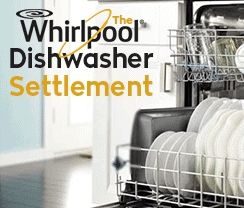 Effective December 22nd, deadlines for objections, exclusions, and registration for the Whirlpool Dishwasher Lawsuit settlement benefits has been extended until June 2016. The last day for class members to submit or file objections, or to exclude themselves from the class is May 2, 2016. 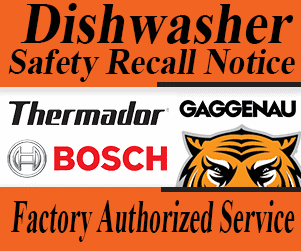 The last day for class members to postmark or submit claims for cash rebates for replacement dishwashers or for past overheating is June 2, 2016. 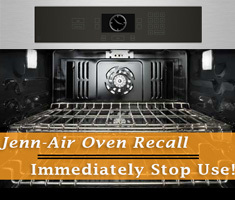 The dishwashers are classified as unsafe because of overheating difficulties and potential fire hazards in which the plaintiffs claimed that the defendants (Whirlpool, Sears Holdings, and Sears) breached warranties and violated several state consumer protection statutes in connection to the malfunction. According to the Class Notice, if your dishwasher was included in the settlement, you may qualify for a variety of benefits. You can find a list of the model and serial numbers of those dishwashers right here, along with other helpful court documents in connection to the Whirlpool Dishwasher Lawsuit. The Chambers v. Whirlpool Settlement website provides extremely helpful information regarding the Whirlpool Dishwasher Lawsuit as well as a place to file claims online. According to the Court, if you do or don’t act on the settlement, your legal rights are affected. They suggest to read the Class Notice very carefully. 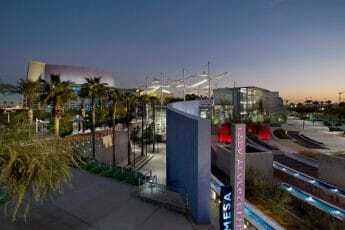 Click here to read the Class Notice.